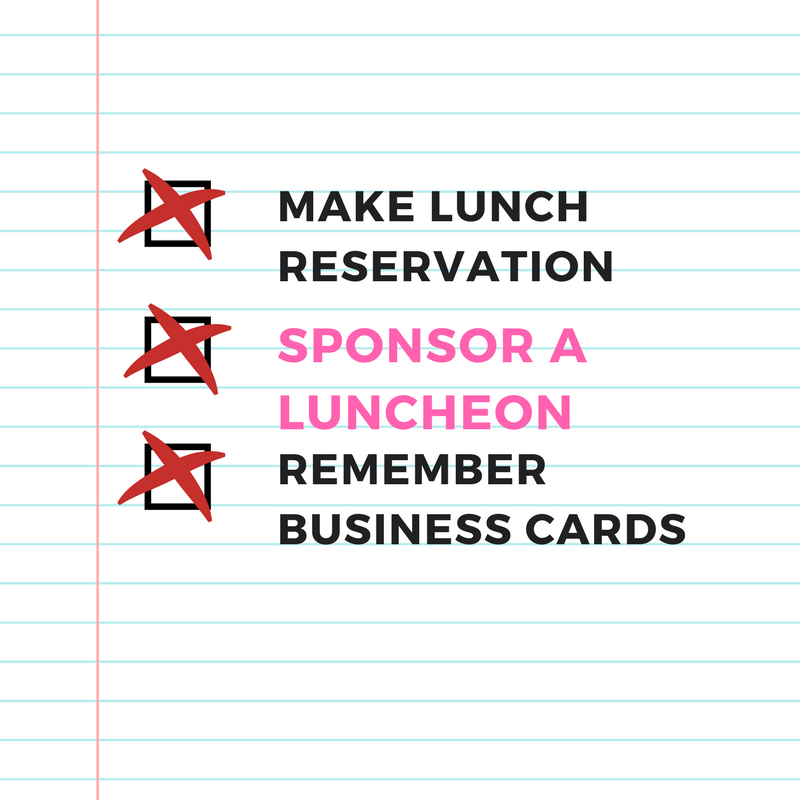 Become a Sponsor at the FWN Luncheons in 2019! As a member of the Fresno Women's Network you have the opportunity to be a sponsor at one or more of our luncheons in 2018. What a wonderful way to showcase your business for the such a low cost! There are 4 sponsorship's available each month at $50 per sponsorship. The price for a sponsorship is $50 (does not include lunch). Each sponsor can provide a Raffle prize (optional) and collect business cards for the drawing to display on their table. How do You Reserve Your Spot! Sponsorship is open to Member's only and is only confirmed when payment is received. Book your place early so you do not miss out!